Kineret Kineret is a fantastic production. 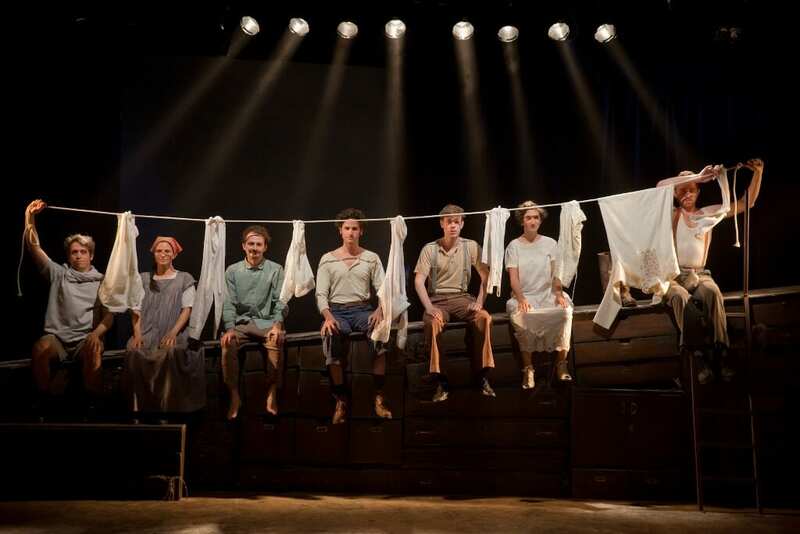 The play tells the story of the first settlers in Palestine before the establishment of the State of Israel. A small group called “Galila”, whose men and women spent their days with exhausting labor in the fields, is suddenly confronted by the drama of one of them, Mordechai (played greatly by Guy Gurevich), losing a sum of money out of the group’s budget. Independently, he decides to loan some money in Jaffa. The group leader, furious about this risky act which was done without consulting the communal group where such independent decisions were unacceptable, demands Mordechai to apologize for losing the money, originally intended to cover the payment for a tractor. As a result, three of the group members are living their remote village and travels to the big city Tel-Aviv. When they finally return, with a surprising difference in their panel. The events reveals the internal conflicts within the group and personal interactions between members, such as complex relationships, a past love triangle, mental illness, maturity, suicide, family relations and desertion. 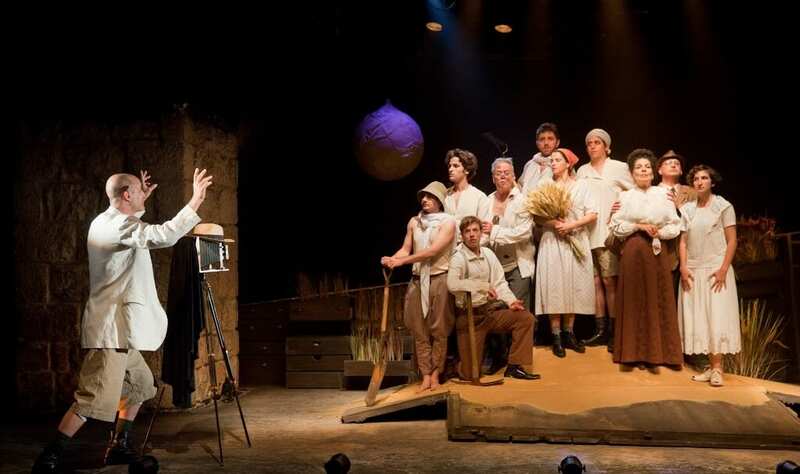 Indeed, the play in written by Nathan Alterman – one of the greatest Israeli authors of all times – therefore, the script must be excellent. The set was one of the highlights of the play. Adam Keller had made an intelligent décor, using a large diagonal cabinet of drawers that made it possible to show the passage of time, heavy labor and the processes that the members of the group had gone through. For example, Mendel (The story taller, Nir Ron) poured sand of a boot into one drawer, to express how hard Galila’s physical work in the fields was, and it was a mail box or a base for plants when the scene was out in the open (begin with Tanya – Mordechai’s girlfriend – losing her mind). The structure was also used as a stage for walking, talking, calling attention. It also has an aesthetic touch because of its dark wood color recalling both old times and soil. During the exposition, the actors sort of “build” the area by hanging a big, white ball, made out of rags. That object acts as an imaginary moon, demonstrating that the social and spiritual events were happening at the night while in daytime the group was working hardly at the fields. Another eye-catching detail at the set was the orchard, made of thick, colorful fabric-snakes, or the tractor, that hanged from the ceiling. All of the accessories were used in artistically ways. The set deserves a 5\5 stars. A few actors were exceptional. Nir Ron wasn’t a part of the group but told us the story and mostly always looked at the scenes from the side. It created trust between us, the audience, and him, as the leader of the plot. Also Jehoiachin Frieslander was marvelous as Faytelson, and Carmit Mesilati-Kaplan, that plays Riva, who’s struggling to grow a baby and to work hard in Galila, and Zelatina – the motel owner in Tel-Aviv. She’s dominant in both cases. Erez Shafrir is only playing from the middle of the play, but does to different acts excellently and diverged. 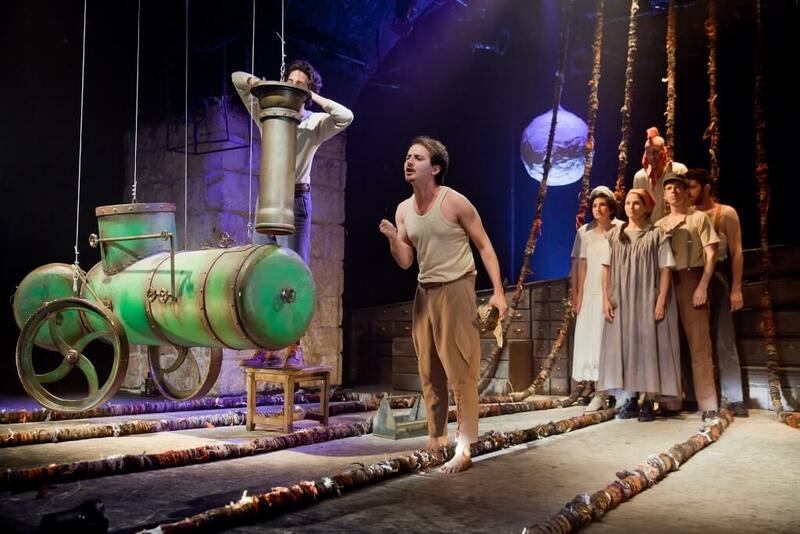 The play is also interesting because of the choreography of the actors on stage. They move together, even while drinking tea; they dance nicely in Faytelson’s dream; they also speak together, whether it’s jokes or word-clarifying (great competing of the language editor, Noga Yetomi, with Alterman’s high aged linguistic stage) or sounds (they make sounds of night in the nature themselves). In that programmed movement of the group, they show how unite they were against the changing world, and it all comes out beautifully with the musical editing of the well-known musician Daniel Solomon. Eventually, that play handles the classic text professionally. Shir Goldberg proves her perfectionism and it’s a pleasure to watch. That was one of the best shows I has saw lately, and I look forward to see more of her works.